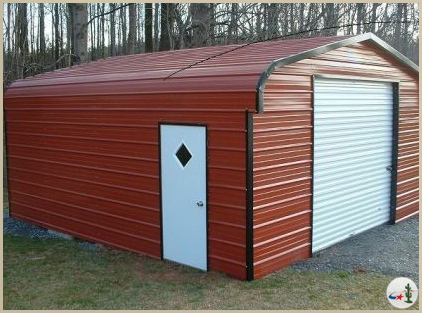 Desert Steel Buildings offers quality-built metal garages to suit every space and vehicle. 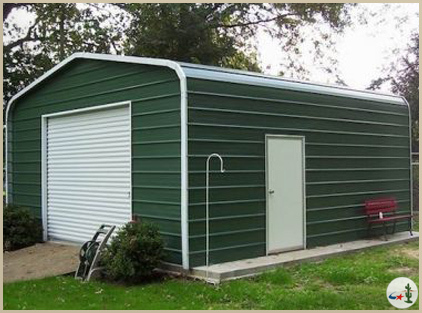 Our garages are available up to 60’ in width. We offer several door sizes to accommodate all of your vehicles and equipment. Our durable 29 gauge siding may be installed horizontally or vertically, and is available in twelve colors. Don’t worry about fitting your truck or equipment through small garage doors. 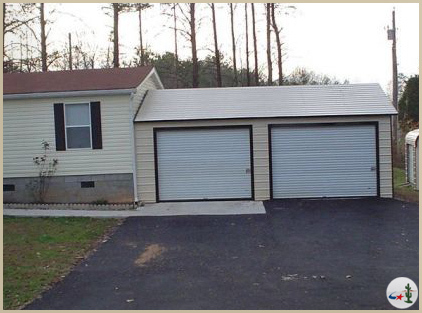 We carry garage doors up to 12’ wide, and even wider doors are available by special order. Concerned about your valuable equipment freezing up in the winter? Be sure to ask about our insulation. We also offer windows and sky-lights to provide some extra lighting into your new garage. Contact us today for a free quote.